FC Barcelona returned to action this Wednesday at the Ciutat Esportiva. Barely hours after securing a place in the Copa del Rey final for the fourth successive season, Luis Enrique’s squad were back training and switching their focus to Saturday’s upcoming league fixture away at Alavés. Barça need all three points to keep their hopes of retaining their league title aspirations in place and a boost ahead of their last 16 first leg Champions League clash with Paris Saint-Germain next week. 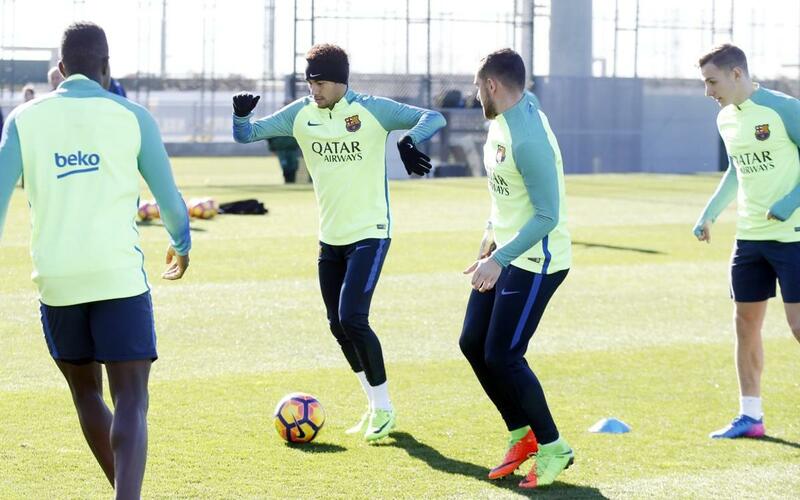 Monday’s session was led by Luis Enrique and took place at the Ciutat Esportiva. It was principally a recovery effort following on from the second leg Copa del Rey semi-final against Atlético in which all the available first team players took part along Marlon,Gumbau and Sarsanedas from Barça B. The team will train next on Friday at 4.30pm CET.